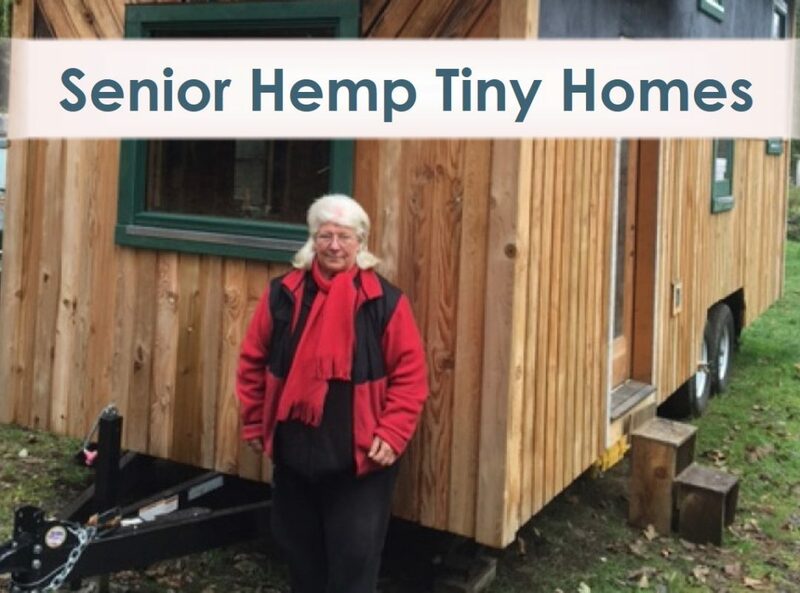 Senior citizen Pat Rasmussen is building the first industrial hemp insulated tiny house on a trailer in the state in Olympia, Washington – to show other seniors how they can build their own secure, warm, comfortable green home on a small budget. The tiny house can be in a community space, a tiny home village, or as an Accessory Dwelling Unit (ADU) in someone’s yard where they can live in community with the home dwellers and other friends in the neighborhood of their choice and with a network of support. Thank you for sharing this with your friends, neighbors and contacts! Today I contacted Rick Steves. Two reasons: 1. to thank him for helping the homeless situation in Seattle by purchasing a property to provide housing for homeless 2. to let him know what we will be doing for Seniors here in Olympia to keep low income Seniors in homes. Rick Steves is also a supporter of hemp products. Maybe he will make a contribution to our gofundme page!